New Poodles Album “Tour De Force” coming in May! 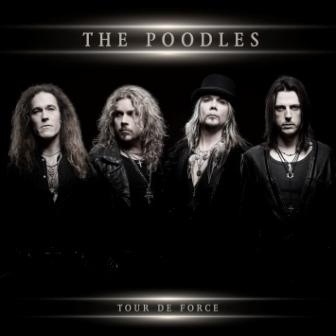 Frontiers Records is excited to announce the anticipated return of THE POODLES with the release of the band’s fifth album “Tour de Force” on May 17th in Europe and May 22nd in North America. 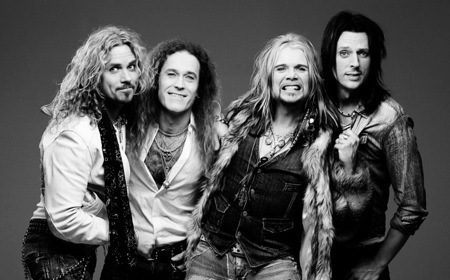 In May 2013 the World Championships of Ice Hockey will be held in Stockholm, Sweden and the official theme song for the Swedish team will be performed by THE POODLES! “The Swedish team wanted a great song to help cheer the team and the fans on during the games. Apart from a great song they also needed an artist/band to perform the song that could put some fire in to it” tells Pontus. A fruitful collaboration between songwriters Anders Wikström (Treat) and Fredrik Thomander (Scorpions, Treat, Gotthard) and The Poodles came about and it resulted in the powerful sing-along, raise-your-fist-in-the-air rocker “En För Alla För En” which will be impacting at Swedish radio and TV on March 27th and is an exclusive bonus track for the physical edition of the album. Another single from “Tour de Force” – “40 Days and 40 Nights”- a song which promises to entice both Poodles fans and anyone with a passion for rock n’ roll will impact at radio and available for digital sales on April 26th. Misery Loves Company; Shut Up! ; Happily Ever After; Viva Democracy; Going Down; Leaving The Past To Pass; 40 Days And 40 Nights; Kings & Fools; Miracle; Godspeed; Now Is The Time; Only Just Begun; En För Alla För En (bonus track – physical edition only). After the gold and platinum records and the top chart results THE POODLES achieved in their home country Sweden, now it is time for them to take on the world!